Accurancy: When describing our products on the Site we attempt to be as accurate as possible; however, to the extent permitted by applicable law, we do not warrant that the product descriptions, colours or other content available on the Site are accurate, complete, reliable, current, or error-free. 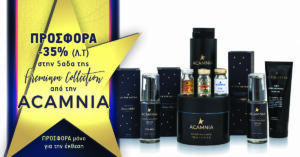 All content available on the Site, including but not limited to text, graphics, logos, button icons, images, audio clips, data compilations and software, and the compilation thereof (collectively, the "Content") is the property of Acamnia, its affiliates, partners or licensors. All brand, product and service names used in the Site are the trademarks, trade names or service marks of lepinaster unless otherwise stated. You may not distribute products or offer services under or by reference to or otherwise use or reproduce any such trade marks, trade names or service marks, or use any meta tags or any other "hidden text" utilizing any such trademarks, trade names or service marks, without the express prior written permission of ACAMNIA or the owner of such trade marks, trade names or service marks. or (vii) use software robots, spiders, crawlers, or similar data gathering and extraction tools, or take any other action that may impose an unreasonable burden or load on our infrastructure. Submissions: We do not wish to receive any confidential, secret or proprietary information or other material from you either through the Site, any of its services, by e-mail, or in any other way. Unless otherwise expressly agreed in writing prior to your submission to us, any comments, feedback, information or other material submitted or sent to us will be deemed not to be confidential or secret. By submitting or sending comments, feedback, information or other material to us you represent and warrant that the information and material is original to you and that no other party has any rights to the information or material. All comments, feedback, information or other material submitted shall be and remain property of ACAMNIA and we shall have the unrestricted, worldwide right to use, reproduce, modify, adapt, publish, translate, create derivative works from, distribute, perform and display such material and information (in whole or part) worldwide and/or to incorporate it in other works in any form, media, or technology now known or later developed. You also warrant that any "moral rights" in posted information and materials have been waived. Disclaimer of warranties and liability: The Site, and any content available on the Site, are provided on an "as-is" and "as available" basis. To the fullest extent permitted by law, ACAMNIA disclaims all warranties, express or implied, including but not limited to all warranties of merchantability, fitness for a particular purpose, title and non-infringement. You expressly agree that use of the Site is at your sole risk and you assume full responsibility for all costs associated with all necessary servicing or repairs of any equipment you use in connection with your use of the Site. Neither we nor any of our business partners represent or warrant that the Site will be uninterrupted or error-free, that defects, if any, will be corrected, or that the Site is free of viruses or other harmful components; nor do we or they make any representations or warranties about the accuracy, reliability, currency, quality, performance or suitability of the Site or any content available on the Site. In the event of any problem with the Site or any content, you agree that your sole remedy is to cease using the Site. Indemnification: You agree to defend, indemnify and hold us harmless for any loss, damages or costs, including reasonable attorneys' fees, resulting from any third party claim, action, or demand resulting from your use of the Site. You also agree to indemnify us for any loss, damages, or costs, including reasonable attorneys' fees, resulting from your use of software robots, spiders, crawlers, or similar data gathering and extraction tools, or any other action you take that imposes an unreasonable burden or load on our infrastructure. We reserve the right to change these Terms and Conditions at any time by posting the changes on the Site. Any such amendment shall be effective once the revised terms have been posted on the Site. Your continued use of the Site constitutes your agreement to all such terms and conditions. We may, with or without prior notice, terminate any of the rights granted by these Terms and Conditions. You shall comply immediately with any termination or other notice, including, as applicable, by ceasing all use of the Site. We encourage you to visit this section of our Site regularly in order for you to remain informed of any changes. Various security measures such as SSL are implemented by us in accordance with industry standards to protect the security of your personal information as well as sensitive information (such as credit card number) both online and offline. If you have any questions about security at the Site, you can email us. Search by keywords: Type a product name, price filter, or category in the Search box at the upper right of any page of acamnia to get a list of products that match your search. Each product is listed with a picture, price, and other details. Search tips: If you're not getting the search results you expected, please check the spelling of the item. Or type multiple words to focus your search. For example, to search for a lotion that contains pycnogenol, type "lotion pycnogenol" in the Search box.